One thing which Apple never fails to do is to impress us all with awesome new ads for their products. And so going by the trend, Apple today has released a brand new ad for iPad which is dubbed as “iPad is Delicious”. What is so delicious about it? Well you can check out the video after the break to see it for yourself. iPad surely has revolutionized the way we look at tablet computing. Thanks to some of the great work done by third party developers, this new ad showcases apps like Flipboard, Twitter (web), and Fruit Ninja HD to really show off the great and unique possibilities which you can get with an iPad. 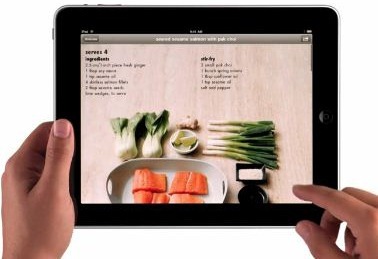 Be it learning, cooking, gaming, reading books, creativity, social networking, productivity or fun, the iPad just does it and does it very well!